The curtain wall of the Skokie Hospital was in need of repair after 30 plus years of exposure. 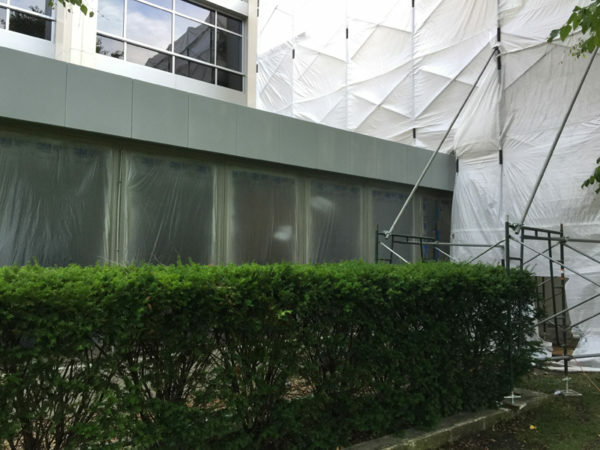 Unlike the previous aluminum curtain wall restorations that have been featured on Lumiflon USA, the Skokie Hospital featured a porcelain enamel curtain wall; which is a difficult surface to re-spray. 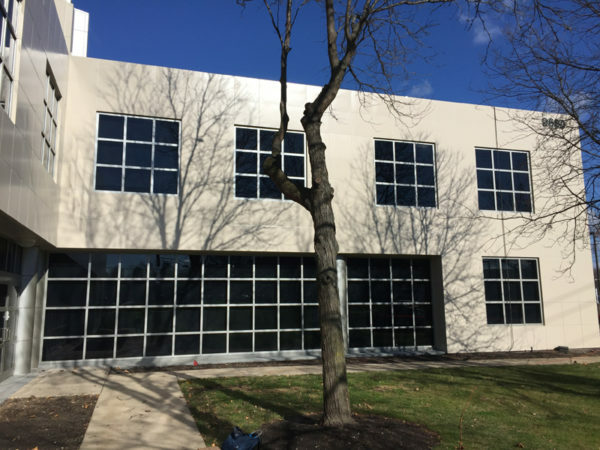 Rather than performing a costly replacement of the entire system, All-Tech Coatings was able to restore the curtain wall using PPG’s Coraflon ADS coating with Lumiflon FEVE resins. The porcelain enamel surfaces were wet sandblasted in order to remove the previous coating. Some areas were also bondo-filled and hand sanded as needed. 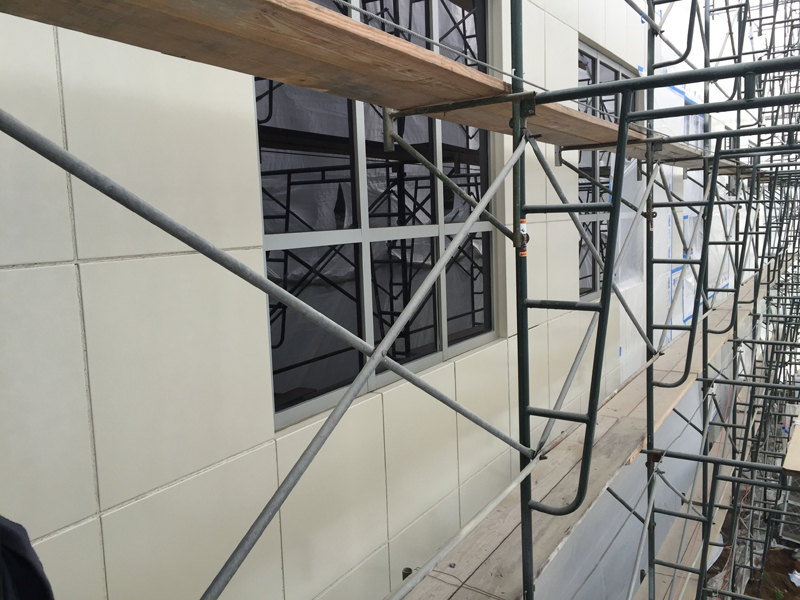 All-Tech contractors then applied an epoxy primer at 2.0 mils dry film thickness (DFT). 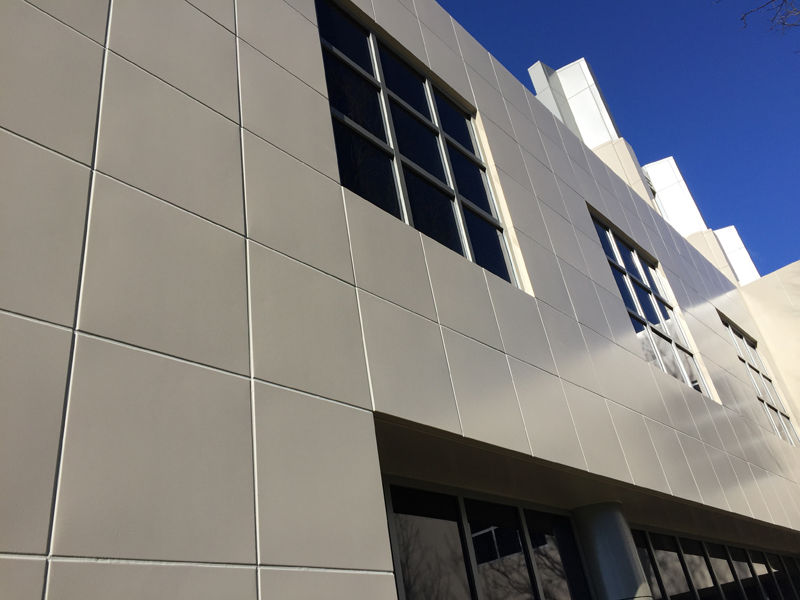 The final coat was completed using PPG’s Coraflon ADS coating, at 1.5-2.0 mil DFT. In addition, All-Tech was able to color match the beige color of the previous coating. Along with the porcelain enamel, the hospital’s vertical columns and windows used the same epoxy primer and Coraflon ADS coating in a silver metallic finish. 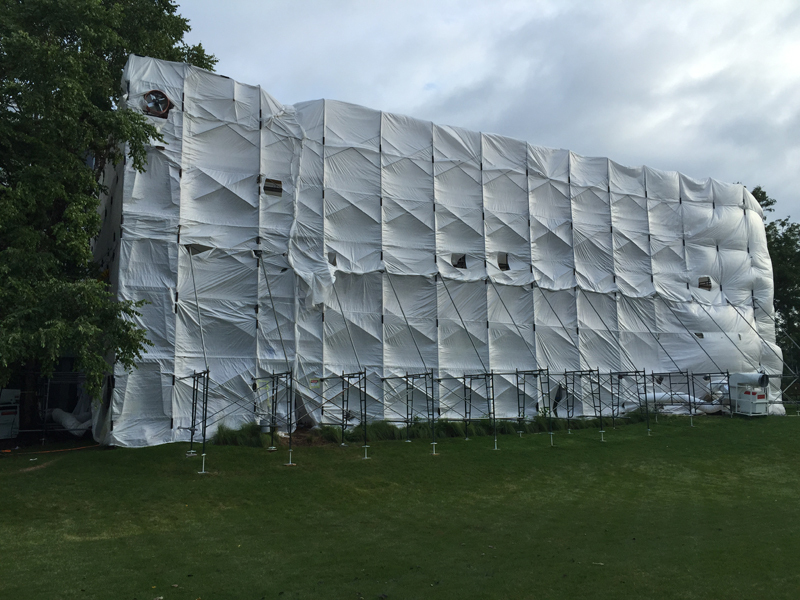 Considering the sensitive nature of hospitals and their stringent air quality, All-Tech contractors created a full-containment system using a series of scaffolds and plastic sheeting. In addition, they implemented negative air machines to ensure that there would be no outside air infiltration to the aged building. 2 Responses to "Challenging Curtain Wall Restoration Aided With Lumiflon FEVE Coating"
The article references the PPG coating as a “power” coating and later as a “powder coating”. If this coating was field applied, it must be a liquid FEVE coating…right? Thank you for mentioning that, the flexibility of FEVE resins allow them to be formulated into solvent-soluble liquid coatings as well as powder coatings that can be both shop or field applied.